Traditionally, dental impressions are messy, uncomfortable and “long” procedures where we place a tray full of “goop” in your mouth to make a mould of your teeth. This then gets sent to the lab where they produce a stone model of your teeth that can be used as a physical record or to be used by the lab to complete their work. 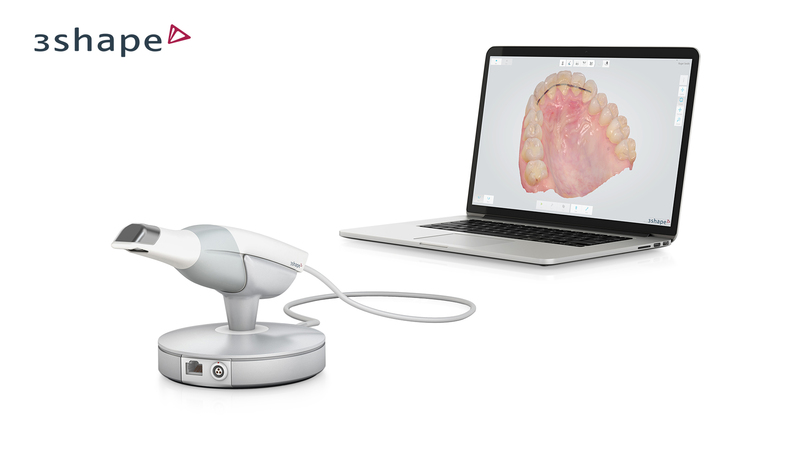 Now, with the TRIOS scanner, we are able to scan the teeth to create a 3D digital image. This digital “impression” is then emailed to the lab for them to do their work “virtually”. Scans are immediately sent to labs to begin the fabrication process. The scanner can do much more than just replace analog impression-taking. A new tool in the TRIOS intraoral scanner’s software called Digital Patient Monitoring (DPM), combined with the RealColor feature, will enable us to illustrate, evaluate and monitor your oral health ongoing. Digital Patient Monitoring allows us to use the TRIOS digital colour impressions to systematically monitor treatment and oral health over time. We can take a scan of your mouth today and compare it against a scan from tomorrow to see the changes in such things as: gum recession, tooth wear, and tooth movement. This can help to highlight changes to your mouth that may require action.